The “Armbrustschützen-Festhalle” is one of the biggest beer tents at Oktoberfest and has been around since 1895. Oktoberfest takes place during September to October, for a period of about 2 weeks. In 2015, Poindus was honored to be the POS hardware provider for Armbrustschützenzelt. Since the VariPOS 715S has countless success cases in a variety of applications worldwide, we endorsed the VariPOS 715S as the checkout POS terminal for the event. We were confident about the quality and suitability of the POS system to perform the duty during Oktoberfest. Poindus VariPOS 715s faced heavy loading at Oktoberfest due to the huge numbers of guests ordering beer & food at the festival. VariPOS needed to respond quickly as the Oktoberfest business type was more like a Quick Service Restaurant (QSR). 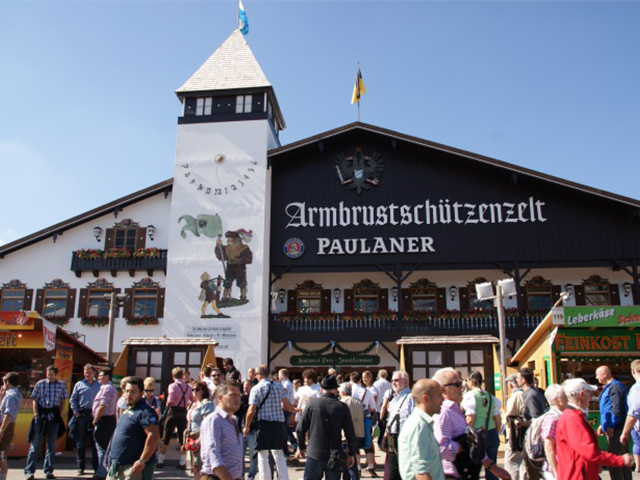 Why did the festival organizer at Armbrustschützenzelt choose VariPOS 715s POS system for the Munich Oktoberfest? From their perspective, VariPOS 715S maintained performance and stability whilst serving thousands of customers every day during Oktoberfest. Additionally, VariPOS 715S was available for VESA Mount, enabling them to use VariPOS 715S as wall mounted Panel PCs, which was more convenient than a counter setup. Easy installation & maintenance was one of the strength for this case. Lastly, VariPOS 715S combined with full IP66 dust and waterproof protection, was perfectly suited for the situation and the rigors of this demanding hospitality environment. Over the two weeks, the terminals at Oktoberfest worked perfectly. VariPOS 715S ran reliably without any incidents or downtime, so the bar staff and waiters could be focused 100% on their guests to provide perfect service.